James Marshall is the CEO and founder of Berge Bulk. He began his career in shipping in offshore supply vessels, before moving to containers and then dry bulk. In 2007, he started Berge Bulk, purchasing 12 ships from the old Bergesen fleet. Berge Bulk now owns and operates a fleet of over 70 ships with a carrying capacity, including new buildings, of over 15 million DWT. He holds an MA from Cambridge University and an MBA from IMD in Switzerland. 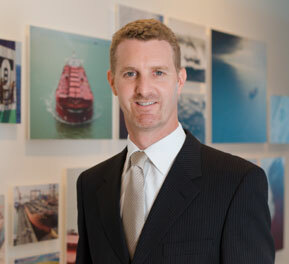 James Marshall also sits on the London steamships P&I committee as well as the Lloyd’s and DNV Shipowners committees. He is Chairman of the Marshall Foundation which supports philanthropic ventures in Asia and lives in Singapore. Callum Sinclair joined Berge Bulk in July 2009 and oversees the Finance, Treasury, Corporate Secretarial, and Insurance functions. He is further responsible for IT, Human Resources, Marine Human Resources, as well as Branding and Communications. 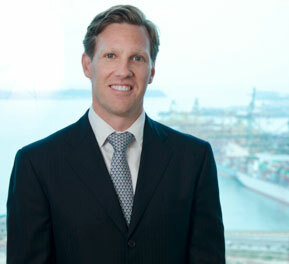 Prior to joining Berge Bulk, he was CFO of MCC, the Maersk Line Intra-Asia arm. With more than 20 years of experience in shipping, he has held a number of other CFO and senior financial roles across Asia with Maersk affiliated companies. Callum holds a Bachelor of Economics majoring in Banking and Finance from La Trobe University and is a fellow of the ACCA. 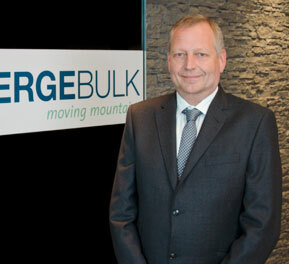 Duncan Bond joined Berge Bulk as General Manager, Commercial & Operations in February 2011. He is responsible for driving growth through vessel acquisitions, managing existing and new business, developing an expanding trading and risk portfolio, and overseeing vessel operations. Duncan held several leadership positions at both Rio Tinto and Xstrata prior to joining Berge Bulk and has over 15 years of international experience in shipping and commodities, gained working across 4 continents. Claus Jensen joined Berge Bulk as Technical Director in June 2014 and is overall responsible for technical, marine, procurement, new building and vessel management. A marine engineer educated in Denmark, Claus worked in power plant operation and maintenance after his sailing career with APM Maersk. He has also worked with Two and Four stroke MAN B&W engines worldwide. Before joining Berge Bulk in 2014, Claus was Head of TORM’s Technical Division in Copenhagen, Denmark.